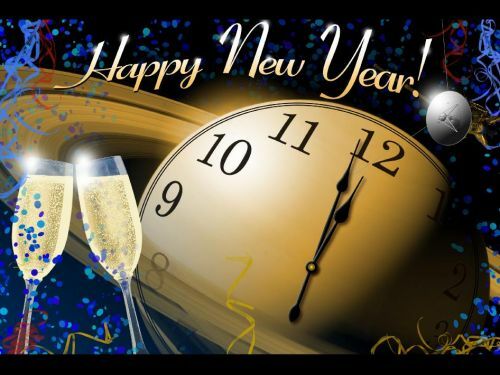 Hess Law Firm wants to wish you and yours a very Happy New Year! Since its founding in 2016, HLF has undergone some changes as it has evolved into the law firm that it is today, and even more change is in store for 2019. Originally conceptualized as a full-service general law firm, client demand has necessitated a shift in focus to estate planning, probate and contested estate litigation. Losing a loved one is a difficult experience for anyone to go through, and you shouldn’t have to go through it alone. Whether you’ve been nominated to serve as the executor of a loved one’s estate (or as a trustee of a trust), been named as a legatee in a will (or beneficiary in a trust), or have been wrongfully excluded from inheriting, you have rights that need to be protected. Additionally, if you suspect that a loved one has executed a will or trust under duress or as the result of the undue influence of another person, you need a litigator to investigate and determine whether that person’s true intentions have been compromised. It takes a trial lawyer to properly assert your rights in a courtroom, not a transactional attorney. Matthew Hess has over a decade of experience litigating cases in the courtroom and is here to help you through your most difficult time. Hess Law Firm is excited to announce that in 2019, it will begin encouraging its clients to consider alternative fee agreements rather than simply being billed by the hour. You don’t pay for any other type of service by the hour, why should you pay for legal services that way? With rare exception, almost any case can be billed by some method other than the billable hour. HLF will offer its legal services based either on a flat fee or hybrid fee agreement. Whether you need to have an estate plan prepared, open a probate estate in court, or file a lawsuit to contest a will or trust, HLF will attempt to offer you a fee agreement based on something other than the billable hour to provide you with cost certainty and peace of mind. Finally, Hess Law Firm is committing itself to being your go-to resource for legal news that may impact your daily life. Although the Hess Law Blog will prominently feature articles related to its own practice areas, you can expect to read about legal developments in all other areas as well. Although the number of news sources available online are countless these days, the number of outlets that can truly be trusted is dwindling. HLF will strive to be one of your most trusted sources for legal news and insights, and its hope is that you will check back often. Hess Law Firm continues to team with John J. Pembroke & Associates in Park Ridge, Illinois, but is excited to spread its wings in 2019 and establish itself as your go-to law firm in the Northwest suburbs of Chicago. If you are looking for a lawyer who will work with you diligently and compassionately during a time of need, contact Matthew Hess today at 312-532-6860, or at mhess@hesslawfirm.com.